This 2 storey and single rear extension enlarging both existing bedrooms, and formed a new ensuite opening up the whole ground floor to make a new open plan dining / lounge / family area with a new utility room and formal TV room. 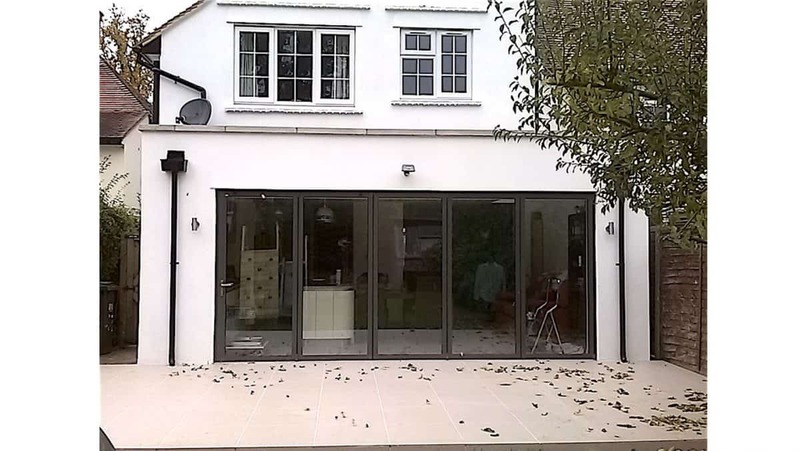 The works comprised of a complete internal refurbishment as well as a single and double storey extension incorporating a new glazed roof with electric opening windows to maximise light. Special features for this project, included the layout of the floor tiles which were laid throughout the new extension and continued seamlessly through to the outdoor patio area on the same level as well as the supply and instalation of a new contemporary designer kitchen with all asociated electrical and plumbing requirements. The external walls of the bulding were re-rendered and internally damp treatment was installed. The property was decorated and tiled internally and externally throughout and feature patio area was installed.